APCOM 2019 is the 25th international conference in the series of events started in the year 1995 with the workshop Solid State Physics and Radioactive Irradiation. This year will be held in the Hotel Patria, Štrbské Pleso, High Tatras, Slovak Republic. The organizers timed this conference in June 19 - 21, 2019. As an information source the web site has been designed. This conference web site will be regularly updated to offer current information. The list of deadlines and important dates are here posted. We believe, the web site help You to obtain actual information. APCOM is the 25 th international conference in the series of events started in the year 1995 with the workshop Solid State Physics and Radioactive Irradiation. 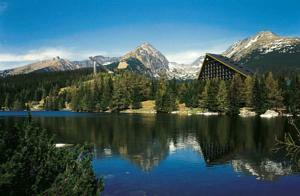 This year will be held in the Hotel Patria, Štrbské Pleso, High Tatras, Slovak Republic.